Patios, walkways, and other quintessential hardscape elements expand your outdoor living space. With outdoor lighting features, you can extend the enjoyment even further by creating spaces that are usable any time of the day or night, while highlighting and accenting the beauty of your property. 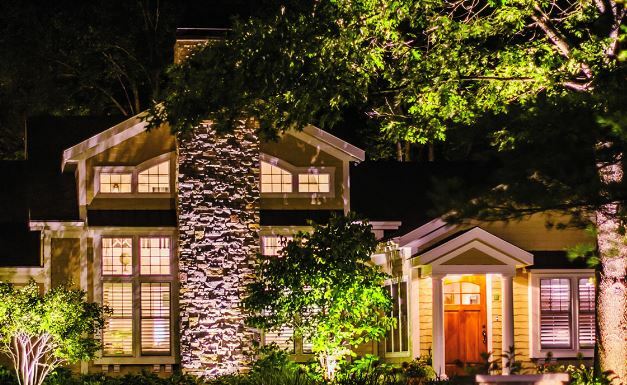 Landscape lighting does more than enhance your property visually—it makes the outdoor spaces in which you’ve invested safer and more welcoming. 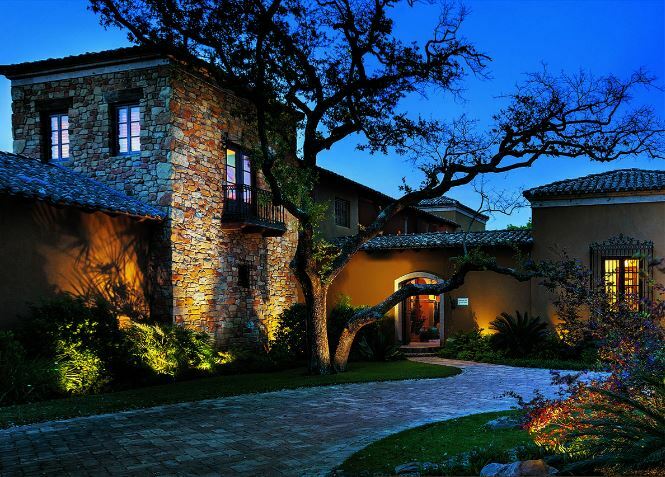 Using landscape lighting, you can create a lighting design that works with the way you use, live in, and enjoy your outdoor spaces. Landscape lighting goes beyond aesthetics; it’s also critical for ensuring safety. Building beautiful hardscape elements into your property’s landscape design is a great way to make an impact, but you also need to consider the safety of yourself and your guests when planning your design. Outdoor lighting should be used to illuminate walkways, paths, steps, handrails, and large architectural or decorative elements that are difficult to see at night. It’s also important to fully illuminate patios, kitchens, or other outdoor living areas with high traffic. Finally, strategically placed security lights can contribute toward protecting your property from unwanted visitors. There are countless options for lighting hardscape elements that are designed for safety while at the same time being aesthetically pleasing themselves. Multiple architectural styles and finishes accentuate the beauty of the elements while adding safety and security to your yard. 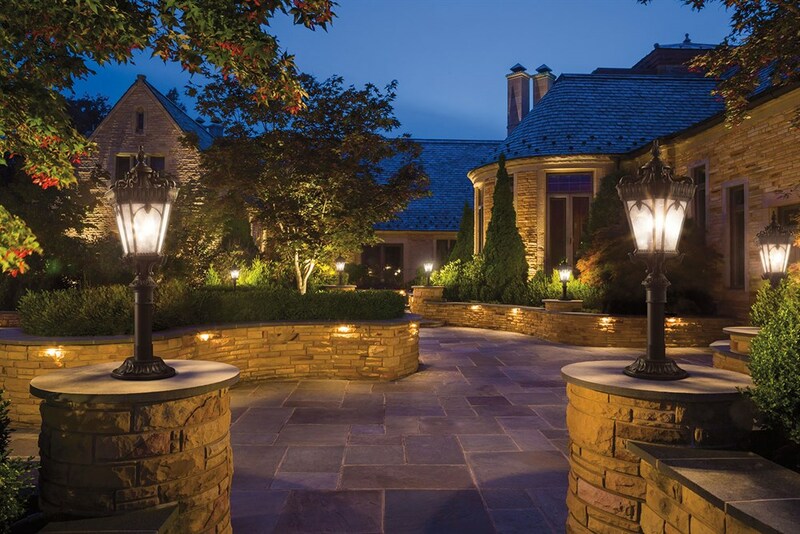 Landscape lighting transforms hardscape designs and other stone elements by highlighting architectural features, creating drastic differences between the daytime and nighttime views of your property. Depending on the style and placement of the light fixture, you can add depth and dimension, focus attention, or add intrigue to the architectural elements of your outdoor spaces. 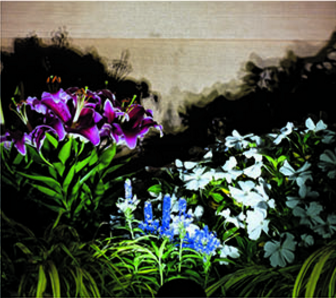 Using light to create shadowing and silhouetting effects brings life into all of the elements of your yard, transforming the everyday elements into beautiful featured objects. For example, you could use shadowing to project the look of a tree or yard art, or call out an interesting shape by lighting a vertical surface behind the object. Did you know that not all light is created equal? A light’s color sets the tone for your exterior, helping to add the atmosphere, make your space more inviting, and bring outdoor living spaces to life. Landscape lighting fixtures come in a variety of color temperatures – from warm to pure white to cool – that can enhance your property’s exterior and landscape. Known as Kelvin temperature, the placement of these various colors of light can completely transform a space. 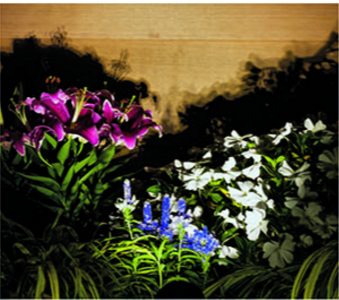 Landscape lighting can truly transform an outdoor living space, making it safer, more welcoming, and more beautiful. 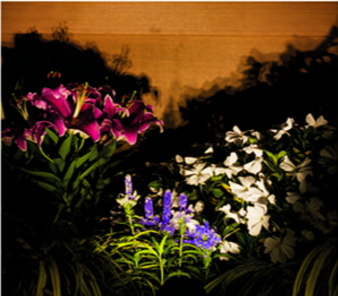 Trowel Trades Supply is a distributor of Kichler landscape lighting products, offering long-term beauty, performance, and efficiency to any outdoor lighting project. 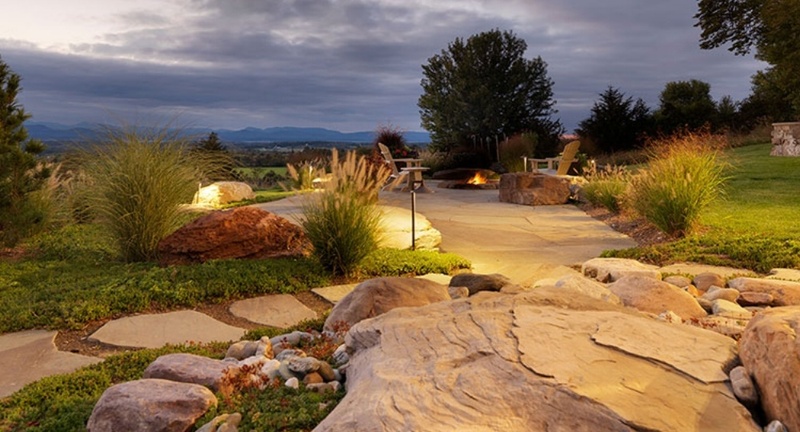 Contact us today to start planning how landscape lighting design fits into your vision for your outdoor living space.